Ted Brown Music - Bassoon Seat Strap Black 25"-38"
Accessories / Woodwind Accessories. 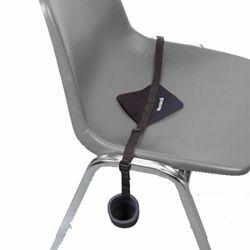 / Bassoon Seat Strap Black 25"-38"
The Neotech Bassoon Seat Strap is the ideal way to add comfort when playing long sessions in the rehearsal room or performances in the concert hall. For the musician who wants relief from supporting the weight of the instrument around the neck, the Bassoon Seat Strap is the answer!